The meeting started with a welcome from Federation of PEI Municipalities (FPEIM) President Bruce MacDougall, Mayor Tina Harvey of the Rural Municipality of Kinkora, and Hon. Richard Brown, Minister of Communities, Land and Environment. 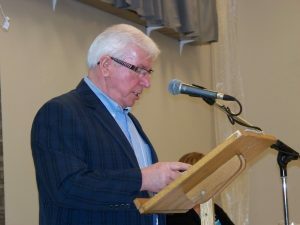 Then reflecting on the past year’s restructuring of municipalities, MacDougall congratulated three recent municipalities who restructured Three Rivers, North Shore, Central Prince and thanked the Province for providing assistance programs to municipalities considering restructuring.